Our 3 yr old Boxer/ Blue Heeler mix “Puppy” alternates between playfulness and jealousy when my infant grandson is over. Last night we had the baby overnight, and jealousy won. While we were sleeping, Puppy gathered up all of the baby’s pacifiers — including the ones in the diaper bag — and chewed them to shreds. Posted March 18th, 2014 . What an interesting mix! But he’s a fun handful. 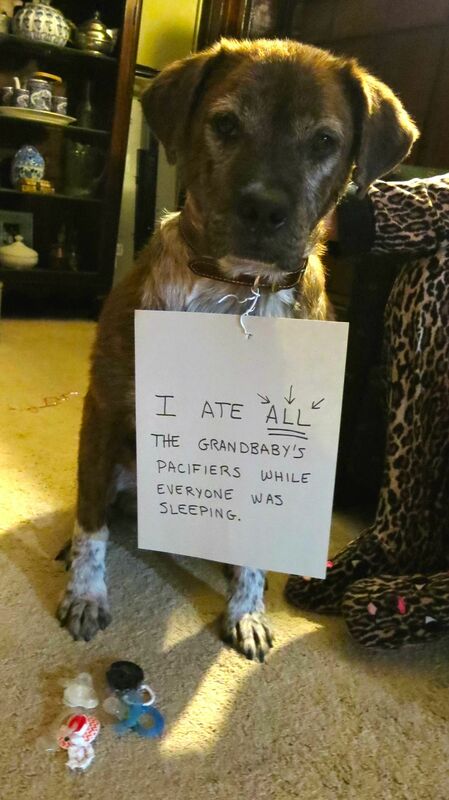 Hope the baby was okay without his pacifiers. That can be noisy. Beautiful dog/wonderful markings. I can see this one being jealous. Why on earth should he not have the binky? LOL. 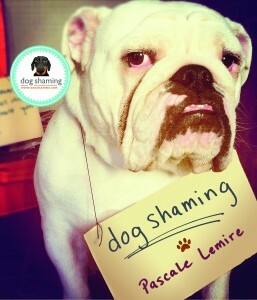 He is definitely not ashamed! Puppy seems very serious about this issue. “There will be no blinkeying in this house! !” Hahahaha he is gorgeous!